This is my third and final recipe for #Vanillaweek. 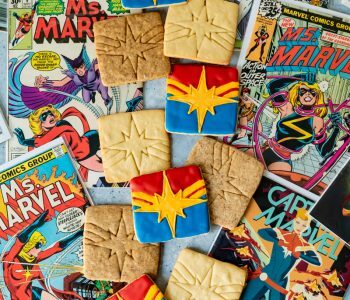 I hope you have all enjoyed the recipes I made as well as all the other recipes from the other bloggers that have been participating. For my final recipe I went with a cocktail. Perfect for Friday and since the weather has been in the 70s already in Vegas, perfect for the weather. 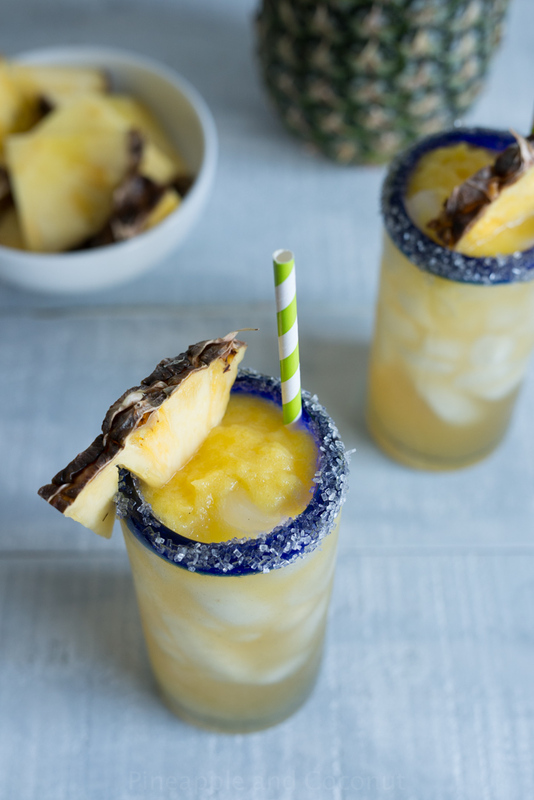 Vanilla Pineapple Margaritas. 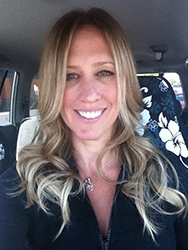 I want to thank Terri from Love and Confections again for hosting this fun week. 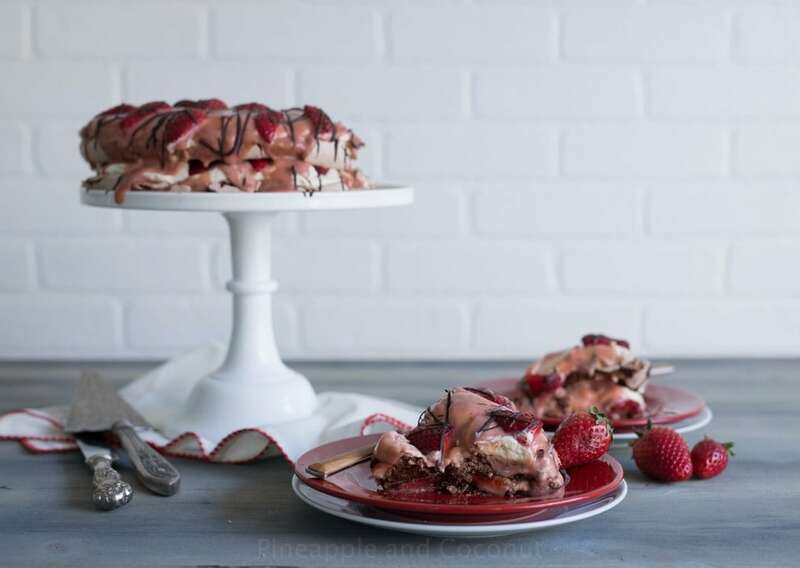 When so many bloggers are focusing on all things red velvet, chocolate, strawberry or just any red treat for Valentines day coming up, she had the idea to have a week of amazing Vanilla recipes as an alternative to all things red. Vanilla is such an amazing flavor and so versatile plus the different types are so unique its hard to pick which one is my favorite. 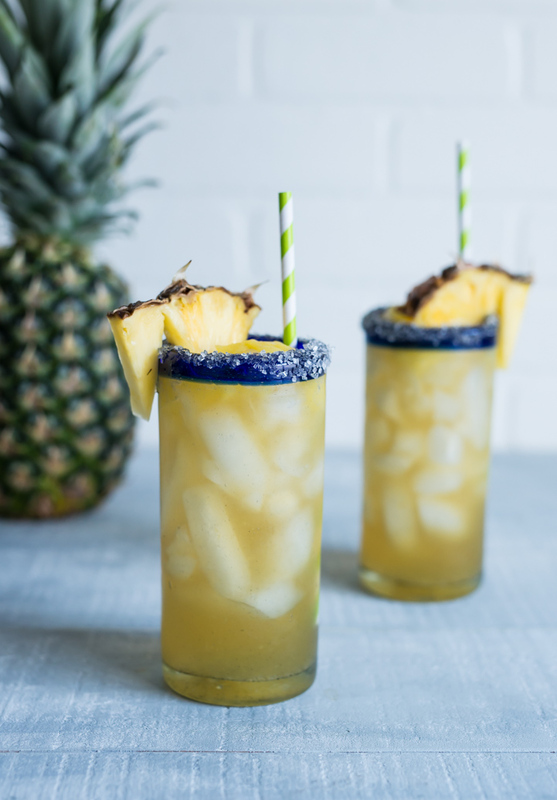 For these vanilla pineapple margaritas I used the Nielsen-Massey vanilla paste and Madagascar Bourbon vanilla extract. 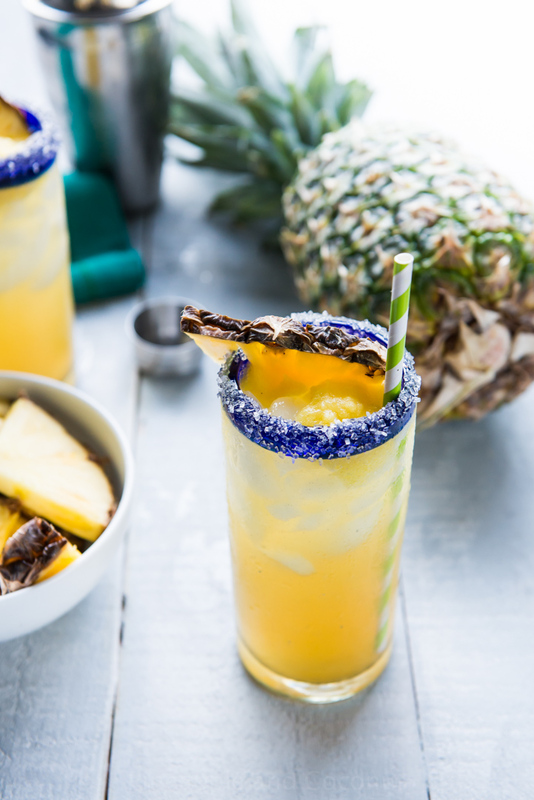 The idea for these vanilla pineapple margaritas actually came from a restaurant here in Vegas. We rarely go to the strip. No need. There are plenty of shops and restaurants off the strip that we never have to go down there and fight the crowds to get anywhere or worry about making reservations way ahead of time. Except for one restaurant. Taqueria Canonita in the Venetian. It’s a fabulous restaurant right on the canal inside near the shops and they call their menu ” Mexican City Soul Food”. The first time we went there was sort of by accident. Some friends were in town and we were walking around to go to lunch and we discovered that the one place we had wanted to go was no longer there!! They had closed it to make for expansion of another restaurant already there. So we started wandering around, hungry, and found Canonita via Yelp. So we decided to try it. Menu looked good. Drink menu looked good too. It was a fantastic meal and we have been back many times since. I love trying new Mexican restaurants, having grown up in Southern California and growing up around Mexican food, Its always been a favorite cuisine. I always order chicken tortilla soup when we eat at Mexican restaurants since its my favorite and they all seem to make it a little different and I always order a margarita. When I saw vanilla pineapple margaritas on the menu I knew I had to try. 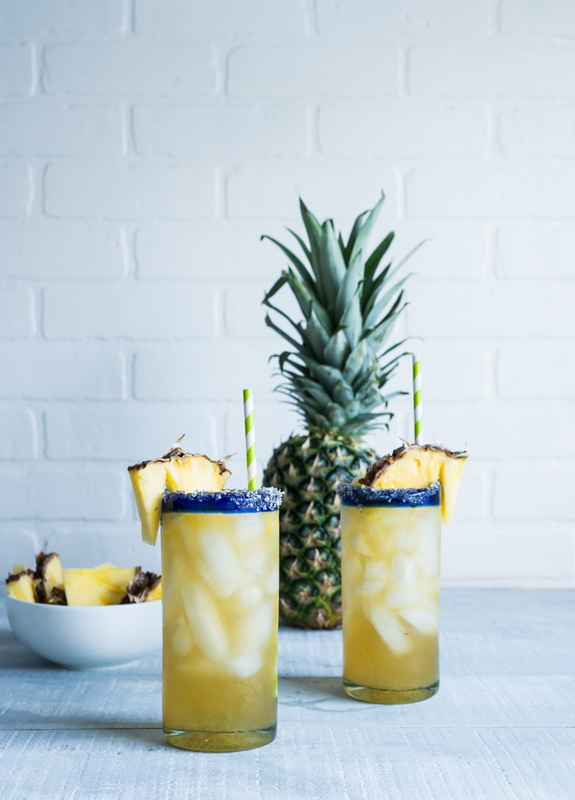 Its light and refreshing, the sweet tart of the pineapple pairs so well with the vanilla and the sugar rim is a nice addition away from traditional salt. Salt would work well too, but with the vanilla the sugar really makes this drink that much better. 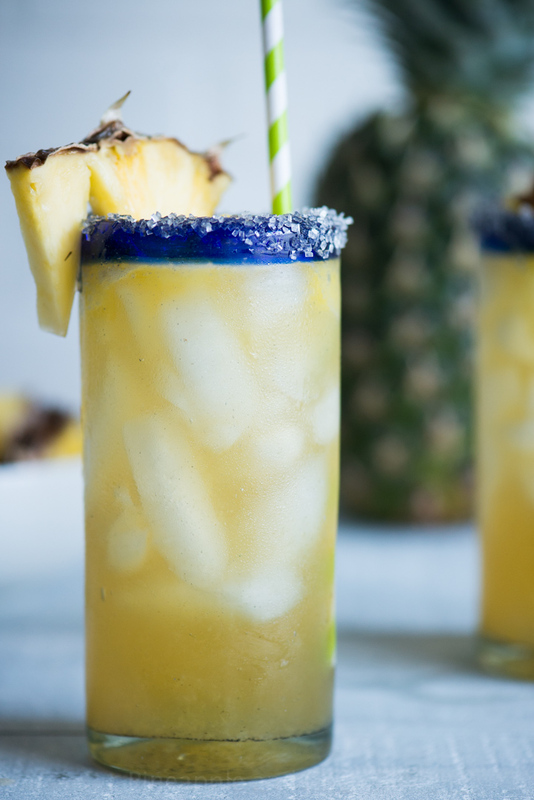 I had been wanting to recreate the vanilla pineapple margaritas for my blog for a while now. 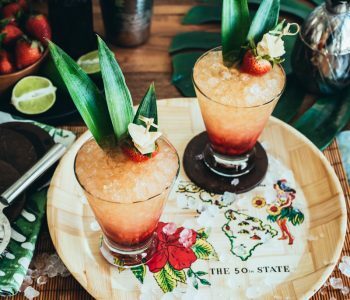 Not sure why its taken this long, but when Terri asked me to be a part of #VanillaWeek I knew that I wanted to make this cocktail. 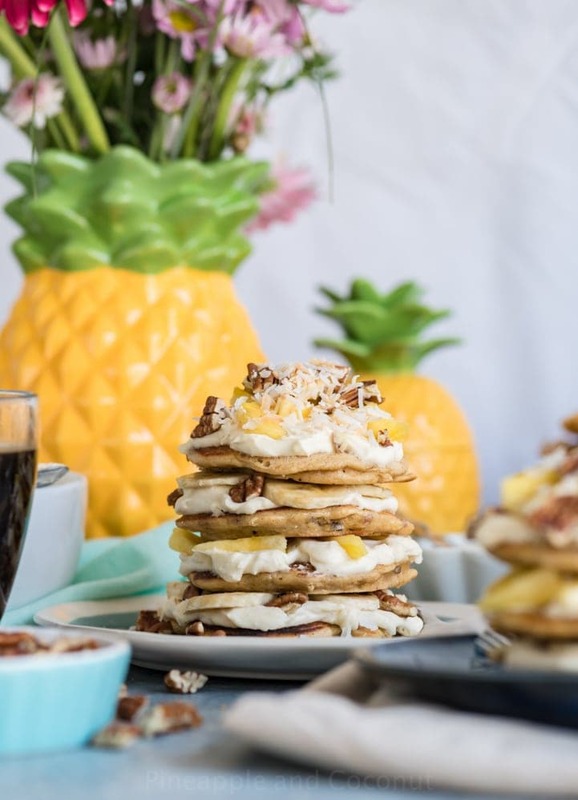 I figured it would be a perfect recipe to round out my part of vanila week starting with those amazing vanilla balsamic chicken thighs and my sparkling Tahitian vanilla cupcakes. 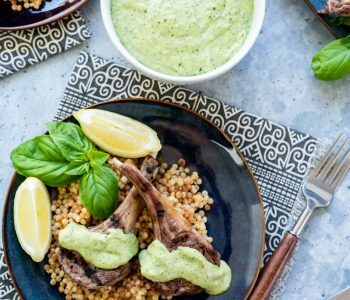 Now, if you have all three of these for a fun and delicious evening meal – you will have hit the vanilla perfection trifecta. Or something like that. Another reason I loved this margaritas so much the first time I had it was it was served on the rocks, not blended. I have never been a fan of blended margaritas and not many fruity margaritas are served over ice. 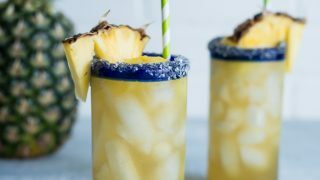 So whenever I see pineapple margaritas or even a coconut margarita on ice I am always up for trying it. Back in September of last year I got to try an amazing coconut margarita and a spicy pineapple margarita at a little hole in the wall Mexican place in Seattle and I hope to recreate those cocktails for my blog this year too. So cheers to a fun and delicious Vanilla Week. 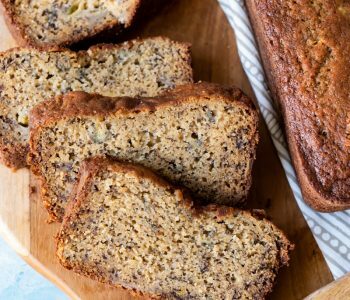 Check out the other posts this week listed after the recipe. Combine all the ingredients in a pan and set over medium heat stirring until the sugar is dissolved. 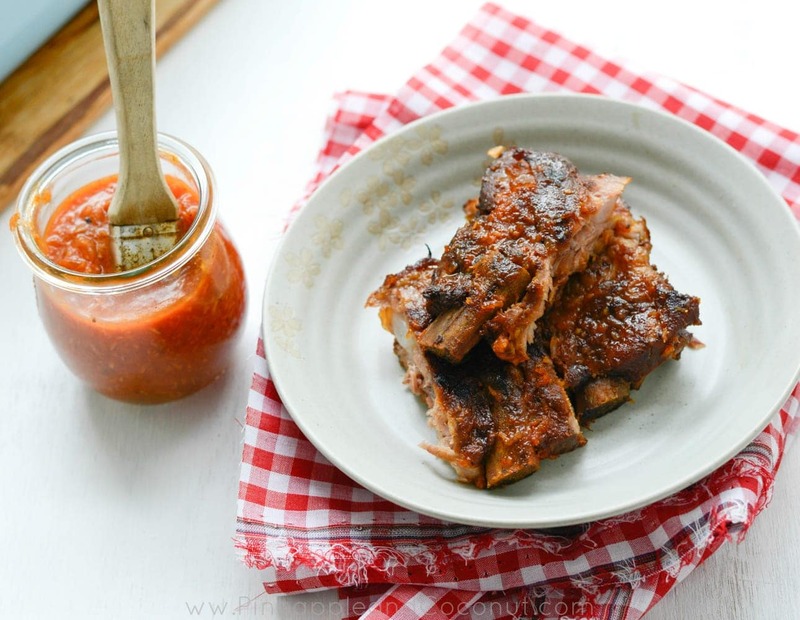 Transfer to an airtight container or jar, such as a mason jar, and chill before using. 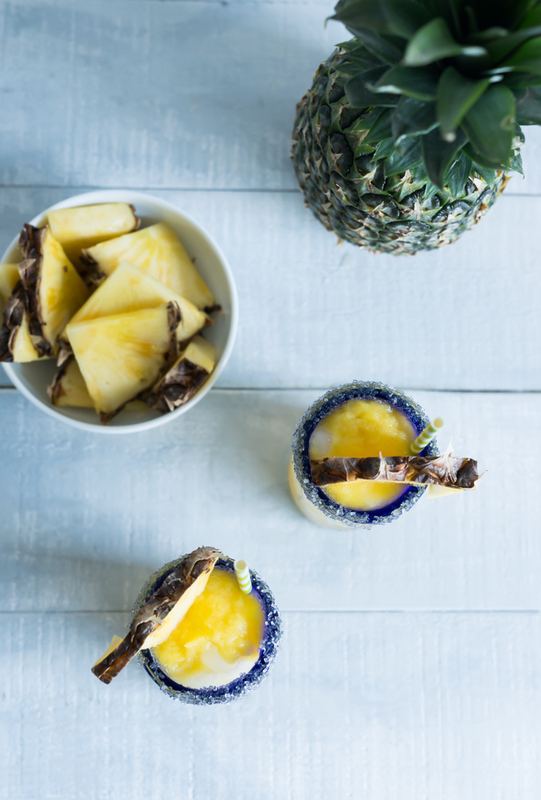 Blend 1 cup of fresh or frozen and thawed pineapple. Chill until ready to add to the drinks. Stir or shake well before using. 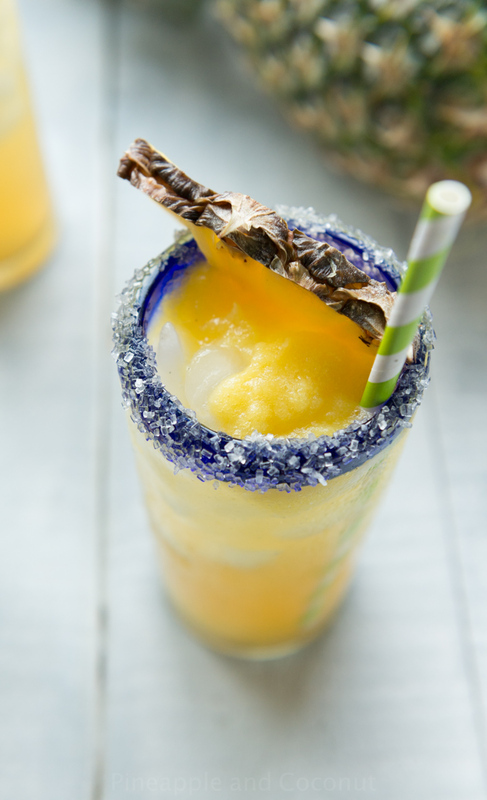 Fill a cocktail shaker with ice and add the tequila, triple sec (or orange liqueur of choice), pineapple juice, vanilla simple syrup and lime juice. Shake well and divide between glasses. Top with pineapple puree. 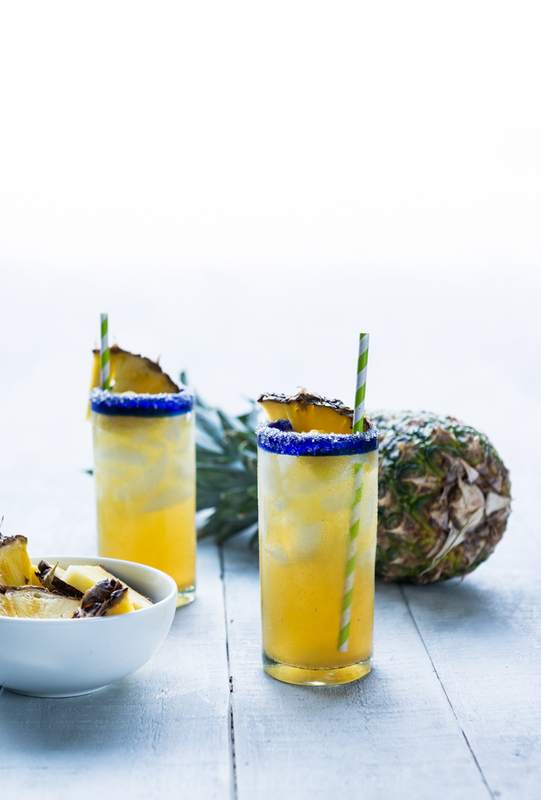 Garnish with a fresh pineapple slice and serve.